Why Did Kamal Hassan's Ex-Wife Sarika Run Away From Home? Behind the glitz and glamour of the cine world, lies many tragic and heart-breaking stories of who we proudly call celebrities today. Some rise to fame with time, while some stay in the shadows as fallen artists. 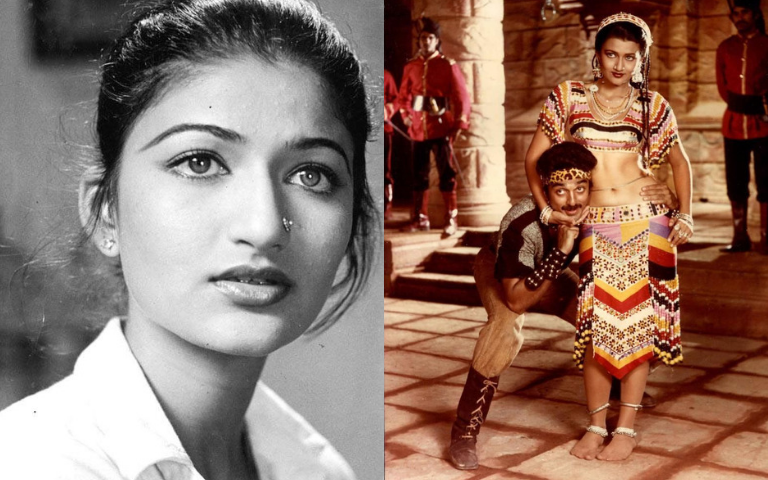 One such story that moved us is of actress Sarika. Of course, she's not a fallen star! She shines brighter as she ages. In the South, she's known as Kamal Hassan's ex-wife, their daughters Shruthi and Akshara's mother and the national award-winning costume designer for Hey Raam. However, her journey in cinema or even life started in the North. Bollywood was her playground at an early age of four. She never once went to school! As a product of a broken marriage, she was forced to assume the role of her father, as the bread-winner of her family. Thus, her countless trips to studios seeking for child roles began with her mother walking by her. She played many roles as a boy or a girl with top stars of that time. Even without a formal education, she loved reading. She taught herself to read and write in the sets when she realised the tutor hired for her learning repeated the same lessons over and over. That's not the only problem she faced! Torments and abuses of her possessive mother were much talked about even as she grew up to be a rising star in Bollywood. 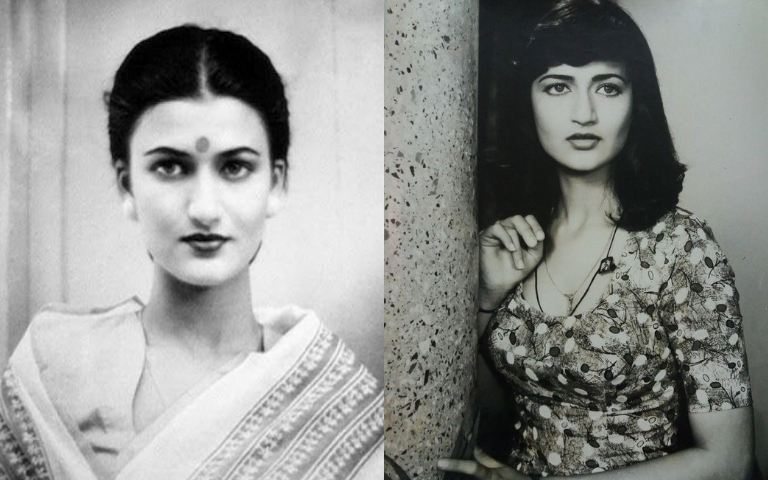 It was reported that Sarika was beaten and verbally abused on sets and events even if she made the slightest mistake and made her mother angry. All decisions in her life and career were made by her mother. At 21, she thought she had enough of this, and RAN AWAY! Yes, the obedient daughter who endured her mother's tortures in public and pretended to be okay with it, made a decision to lead her own life. It's even more shocking that she ran away without any of her money, clothes or make-up. With nowhere to head to, she stayed in her car for SIX DAYS, occasionally visiting her friends for borrowed clothes, shower, and food. When she finally realised there were at least 6 apartments bought under her name from her film earnings, she decided to continue her career in Bollywood without her mother. After a series of ups and downs in relationships, she met actor Kamal Hassan and fell head over heels in love with him. 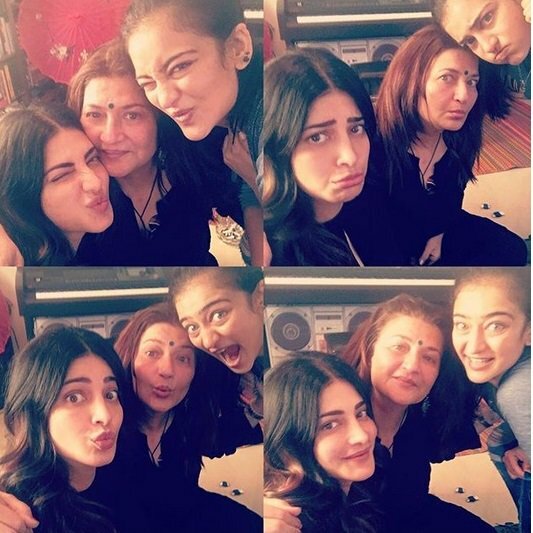 They had two lovely daughters out of wedlock and the wedding took place only after the birth of Akshara Hassan, their second daughter. When life seemed like a fairy tale from the surface, in 2004, their 17-year marriage came to an end. Reports disclose that his affairs with Gauthami and other women have caused the rift between them. As a result, she went back to where she began, with no money or assets to sustain her life. She was all alone again and the film industry came to her rescue yet again. Find out what Kamal Revealed About His Love Tragedies! Even after she was alone again, she rented an apartment and took on acting roles, one of which eventually bagged her the National Award for Best Actress. Much recently in 2016, she was faced with yet another problem as her mother striked her name off the will and left all the assets to a doctor. Actor Aamir Khan reportedly intervened to help out. Even after all these tragic events and a taste of stardom at such a young age, this timeless beauty decided to stay low-profile, wearing no makeup and adorning only simple cotton kurtas when she's out. Her life revolves around her daughters and she continues to support them in their careers and lives. It's so inspiring to witness her rise every fall and taking life as it comes. Good luck to her and all her endeavours! Kindly note that this article doesn't reflect Astro Ulagam's stand on the matter and shall not be held responsible or liable for the views, thoughts, and opinions expressed in the article. The information has been extracted from the sources listed below.